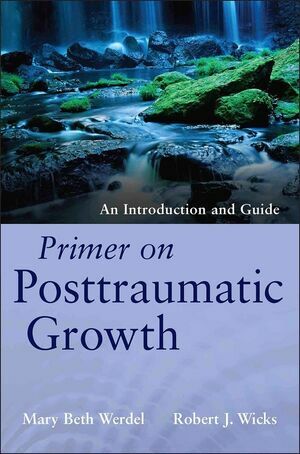 "From the inspiring chapter quotes, to relevant historical and current research, to practical clinical directions, Primer on Posttraumatic Growth takes a giant step toward both grounding us and moving us ahead with strong hope for adjustment and growth in the post-trauma/loss world. This is a comprehensive, practical, and readable work that should be at hand for any mental health clinician, pastoral care professional, or student preparing for these professions." Drawing on the growing empirical and theoretical material on posttraumatic growth—an outgrowth of the positive psychology movement—Primer on Posttraumatic Growth provides insight, depth, and treatment recommendations for both the clinicians who work with those who have experienced dramatic negative events in their lives and for other professionals who support victims of trauma and extreme stress. Forgiveness: can it be extended towards all areas of posttraumatic growth? MARY BETH WERDEL, PhD, is an assistant professor at Fordham University. She writes and lectures on the relationships between posttraumatic growth and both positive and negative aspects of spirituality. Dr. Werdel is also a Licensed Professional Counselor and family therapist, skilled in working with families from a variety of cultural and experiential backgrounds. ROBERT J. WICKS, PsyD, is a clinical psychologist and a professor at Loyola University Maryland, where he teaches in the largest CACREP-approved counseling program of its type in the world. The author of more than forty-five books, Wicks is a recognized expert in the prevention of secondary stress. He has addressed thousands of educators and professionals, including students at the FBI Academy and caregivers in China, Vietnam, Northern Ireland, and South Africa.